Being the gin enthusiast that I am, I can’t believe I haven’t heard about Craft Gin Club sooner. A monthly subscription box, sending customers a small-batch gin, Craft Gin Club go one step further with mixers, recipes and more. This month’s box includes a full size bottle of Boatyard Gin – an Irish based distillery, producing beautiful gin with a range of botanicals unique to their part of Ireland. With pretty branding and a cork stopper, I really appreciate the attention to detail this company have put into their bottles. When looking for a new gin to try, it’s often the packaging the appeals to me, and this bottle certainly does that. It’s currently taking centre stage on our bar cart. To accompany Boatyard gin, Craft Gin Club have also included a couple of bottle of Merchant Heart tonic. I’ve never heard of these tonic before. One is a pink peppercorn and the other is a floral aromatic tonic. I can’t wait to try these out! We haven’t had chance yet, as the first thing we made with our box, was a Red Snapper cocktail. This gin based cocktail is very similar to a Bloody Mary, but better by using gin of course! 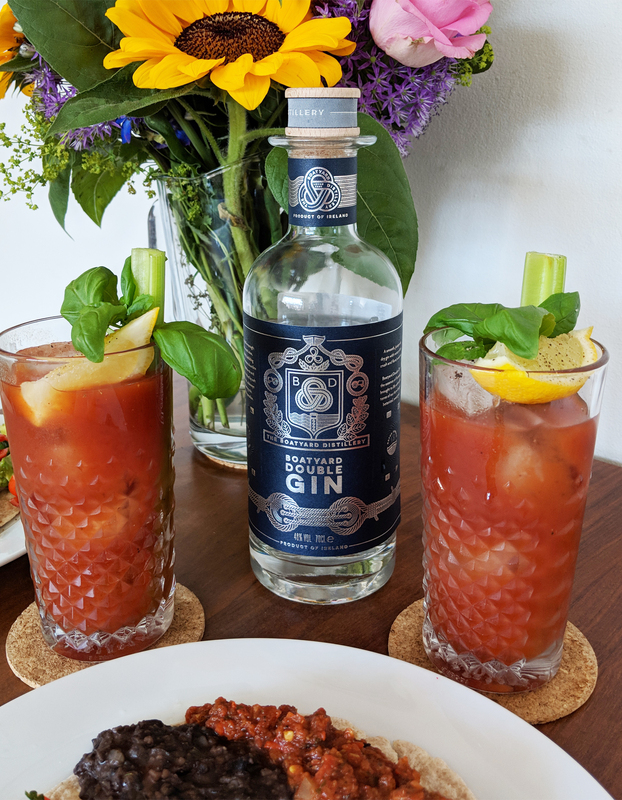 We paired our Boatyard gin with Britvic tomato juice, and followed a recipe included in Ginned! magazine (both also included in May’s box). I’ll be sharing a recipe of the cocktail on my blog soon. 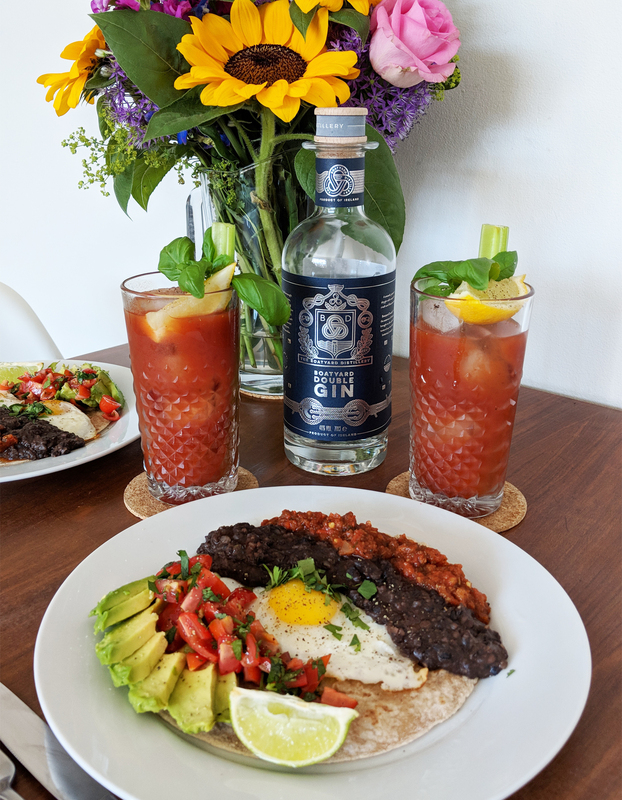 We paired our Red Snapper with a Mexican inspired brunch dish of Huevos Rancheros. 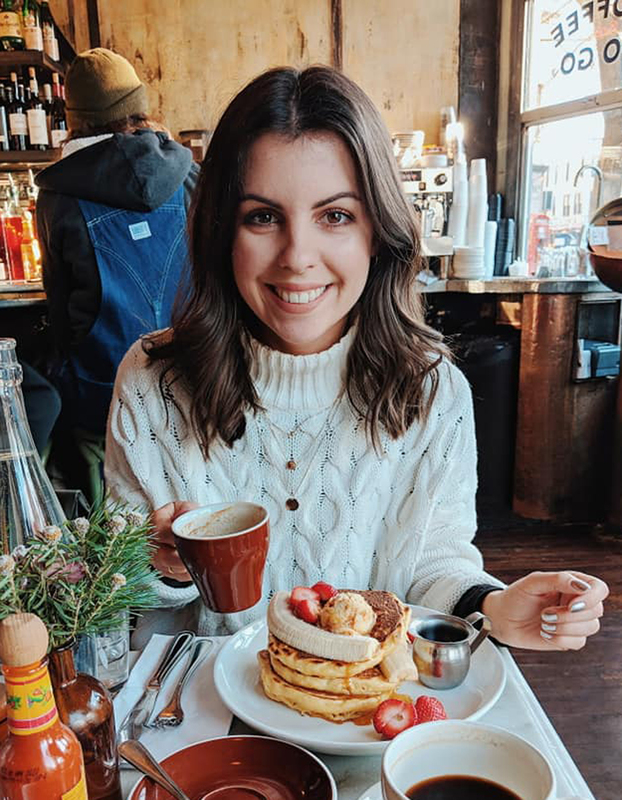 Possibly one of the best boozy brunches I’ve ever had! 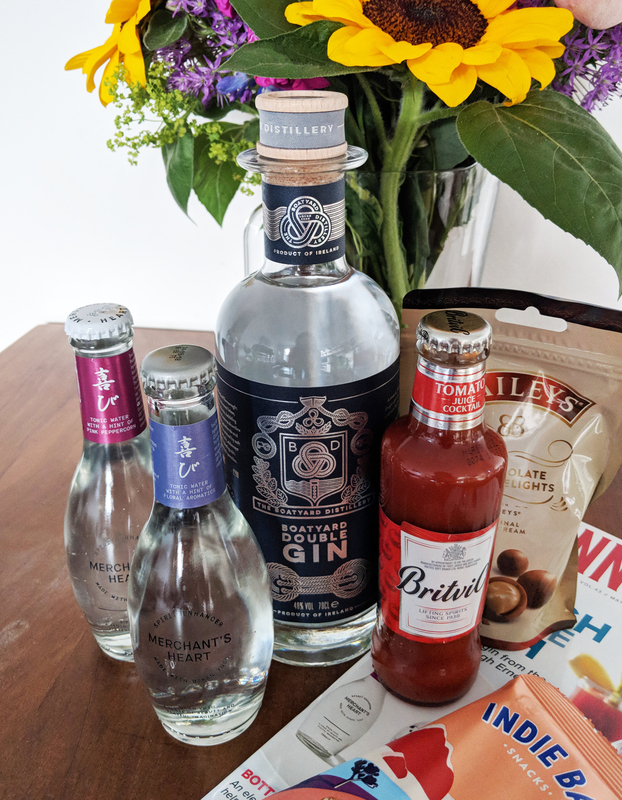 Last but not least, May’s Craft Gin Club box included Bailey’s chocolate delights and Indie Bay pretzel bites, to accompany your gin and tonics. The perfect evening set up! Now for the specifics – Craft Gin Club costs £40 per box and you can choose whether you want to receive one monthly or every 2 or 3 months. You only pay for the months you receive one and you can cancel at any time! 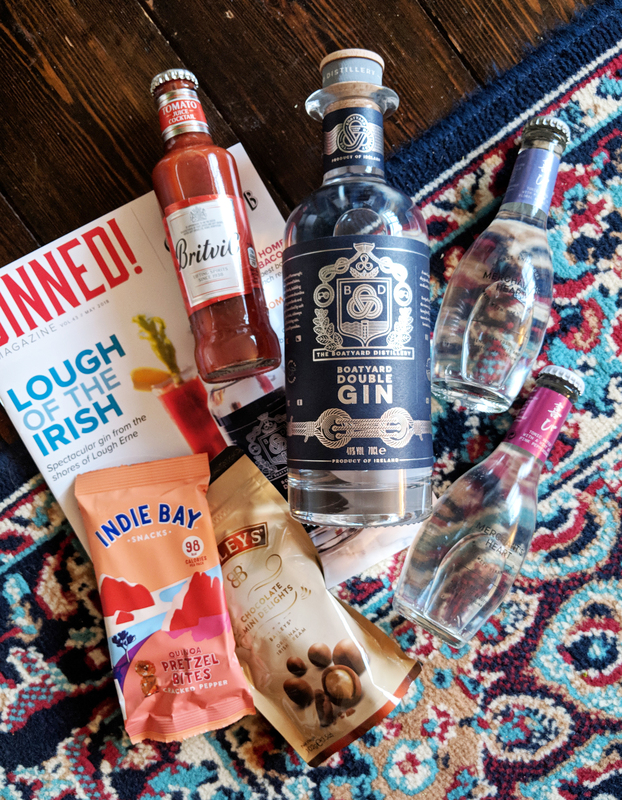 Each box is a complete surprise, but will always include a full size bottle of craft gin, a selection of tonics, mixers, foodie treats and a 36 page club magazine. Not bad eh? Have you heard of Craft Gin Club before? Are you part of any other similar subscriptions? I’d love to hear your thoughts!